I have been wanting to visit St. Mary’s for some time as it is a member of the Small Pilgrim Places Network (http://smallpilgrimplaces.org) . It is a lovely little church down a quite lane. It is well sign posted from the road. There is a nice welcome notice on the outer door to the porch. 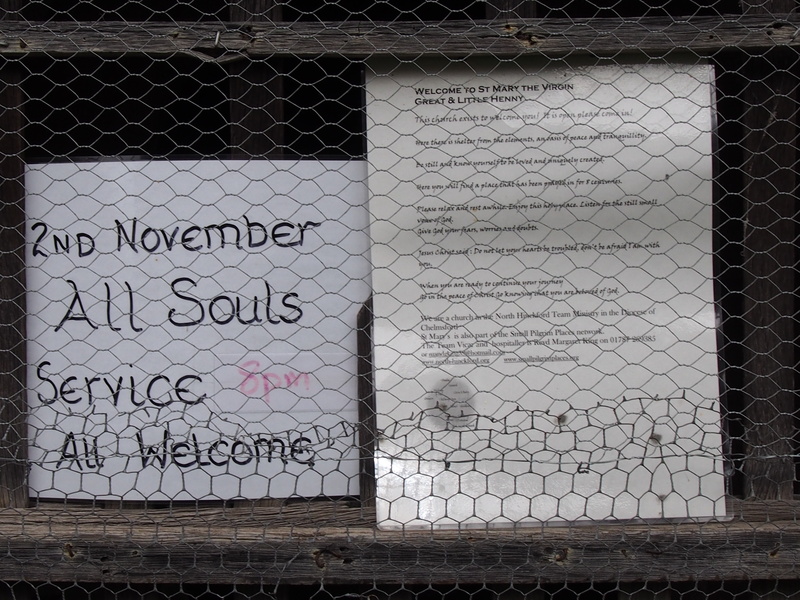 Also in the porch are some prayer cards and seeds to scatter – both are a nice idea. Inside I found more examples of care being given towards those who visit this quiet place. There are lots of cards for sale (and even a knitted hat! ), information on retreats and some of the excellent Gospel Imprint leaflets (see http://www.gospelimprint.com/). Also local cookbooks and information on retreats. There were some ‘Chelmsford Holding Cross’s’ which I have not seen before. There is an open Bible and a prayer area with resources. One omission is that there didn’t seem to be anywhere to leave prayer requests nor a church guide. There was some pictures of the vicars of the parish back to 1786 and some information about the problems they have had with woodpeckers and the spire here (this also accounts for the decoy spire in the churchyard which is meant to attract the woodpeckers). 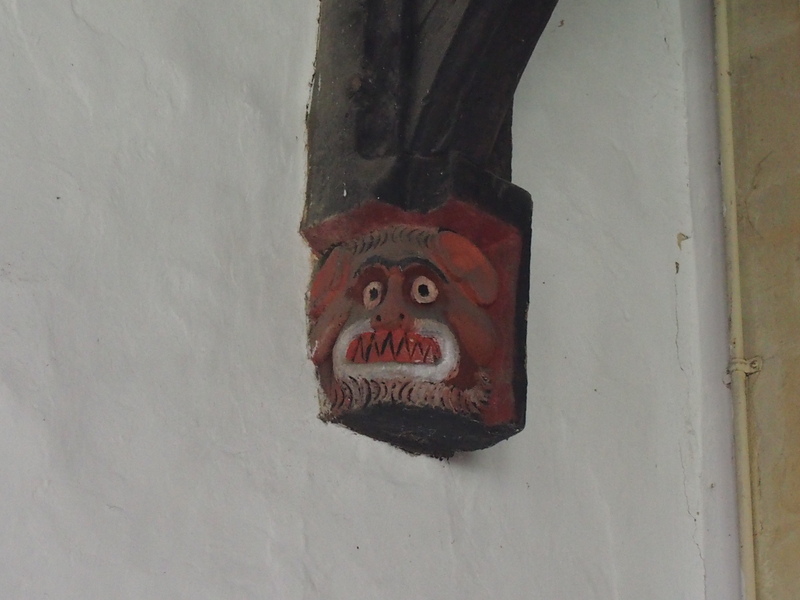 There is quite a bit on the Small Pilgrim Places Network as well. What is much harder to describe is the atmosphere of St. Mary’s. 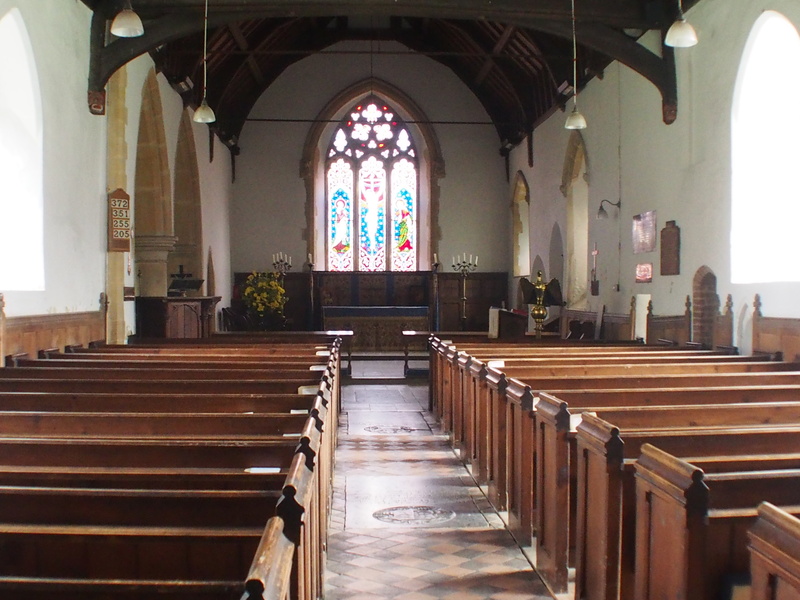 It really is a prayerful and peaceful place which is well worth a visit. 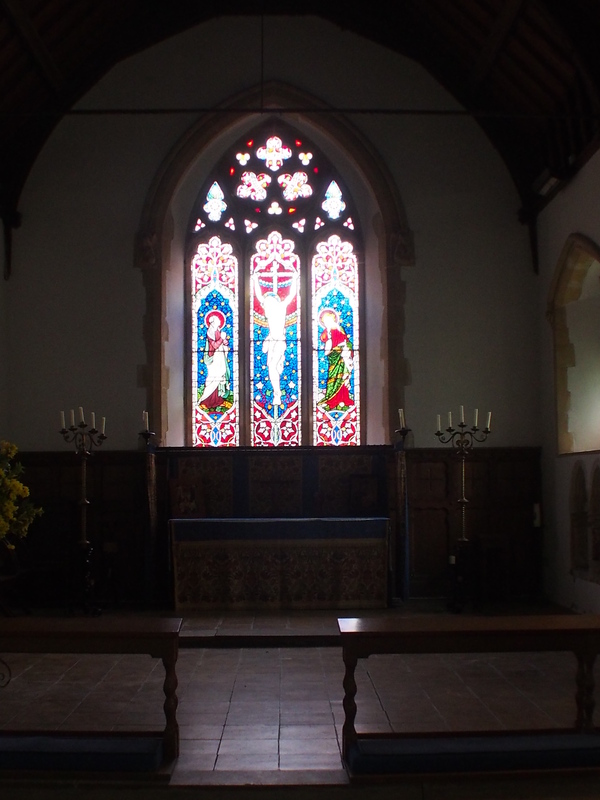 There is an entry on a church near you and a website on http://www.northhinckfordparishes.org.uk/ which is a bit of a work in progress. 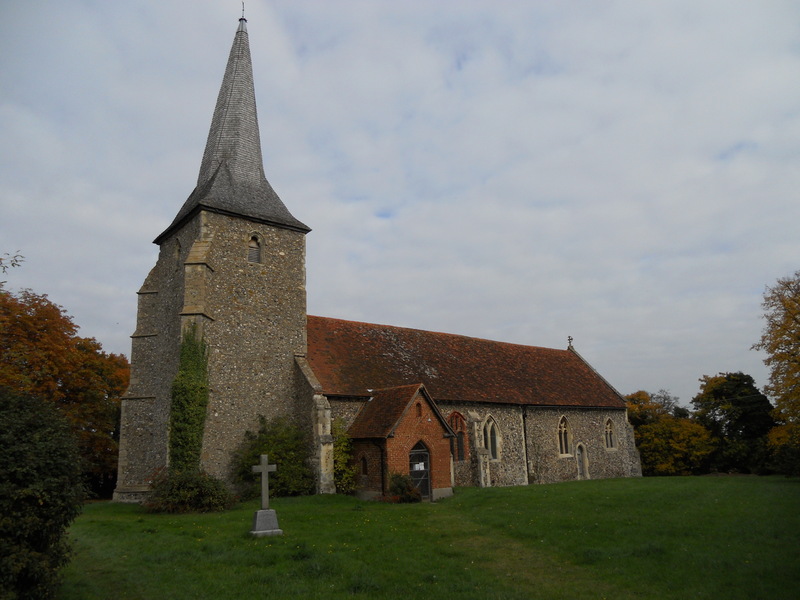 Also an entry on http://www.essexchurches.org.uk and some interesting stuff on walks and cycle routes at http://www.explorestourvalley.co.uk – ‘Open Doors, Sacred Doorways’. St. Mary’s is well worth a visit. 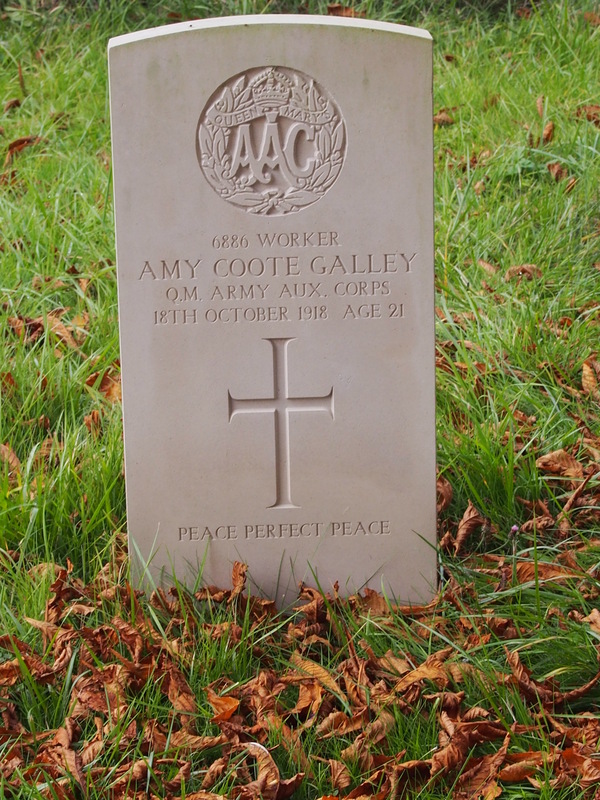 One notable thing here is a CWWGC memorial in the churchyard to a woman – Amy Coote Galley who was in Queen Mary’s Army Auxillary Corps, who died on flu on 18.10.18. There is a story to tell here!